HIS Graphic Cards - Power Up, Gamers! "we waiting for pro cooling thanks our dear company"
"this monster card makes my game world crazy!!! with my AMD 1055T they can run any games i .."
"how need power supply HIS HD3850 512MB IceQ Turbo DDR3 for high performa because i use po.."
"Bought this card for replacement in an old AGP system with a Pentium 4 3.2Ghz and an aging.."
"I am very happy with HIS 6570 graphics card Silence. I working with Web design. 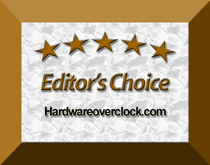 I use two .."
"This is very fine card and renovative but it depends how fine your Pc's other parts.Even M.."
"Read bcp review on newegg, but this card is great. Idle temp is 38c, 60c max, Made me ques.."
"This is a great card they only forgot to mention one thing tho no dual bios!" "how fast!!!!!!! i can't talk much anymore...."